The New York Pass is a great option if you want to experience everything New York has to offer by seeing and doing a lot. You pay a fixed price depending on if you buy a pass for one, two, three, four, five, seven or ten consecutive days. 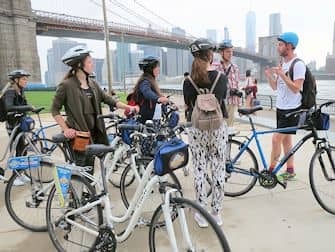 The New York Pass gives you access to a variety of museums and top attractions, you can go on tours, rent bikes – the list goes on! In total you can choose from over 100 attractions and activities. You’ll also be able to skip the queues at 15 of the most crowded attractions. TODAY: up to 27% off on the New York Pass! Buy today, it’s is valid for one year after purchase! Hop-On Hop-Off buses are ideal for those who want to relax while seeing a lot of the city. I advise people to take a full tour of the city before they start visiting attractions. It’s the perfect way to get to know the city. When you buy a New York Pass, it also includes a 1 day Hop-On Hop-Off ticket for Big Bus. With this ticket you can tour the Uptown and Downtown loops. DEAL: If you’re travelling between March 1st and June 1st you receive a 2-day Big Bus ticket, including the Brooklyn and Harlem Loops. How do I get a New York Pass? You can order the New York Pass with a discount here. There are three options to choose from: either a mobile New York Pass, home delivery ($50 to Australia and New Zealand) within 5-7 business days, or collect the pass yourself in New York, at no extra cost. For pick up addresses see here. 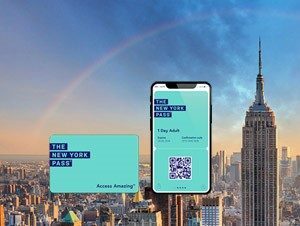 The benefit of the mobile New York Pass is that as soon as you order, you receive a direct link to the New York Pass app (available on Android and iOS). Then you can open your mobile New York Pass with a QR-code. In the New York Pass app you can find all the information you need about the tours and attractions included. You can’t print the mobile New York Pass though, so if you prefer to have the physical pass and 200 page guidebook, I recommend having it delivered or collecting it in New York. How does the New York Pass work? There are two options: a mobile New York Pass or a physical New York Pass. Have you decided on the mobile New York Pass? Then, upon booking you will receive a link to the New York Pass app. In this app you can open your mobile New York Pass with a QR-code. Then you just show your pass on your smartphone at the entrance to the attractions. Have you chosen to have your pass delivered or collect it in New York? Then your physical pass will look like a credit card that fits easily into your wallet. With both of these options I recommend activating the New York Pass by visiting your first attraction early in the morning. This is because the pass is valid for a number of consecutive calendar days. Most of the attractions are open early and it’ll be less crowded so you can avoid long queues. An extra benefit of the pass: at many attractions you can skip the queue. In addition, you don’t pay any extra at the attractions, just the pass is enough! Eric’s Tip: This pass is great if you want to see a lot of things. I would advise to purchase a pass of at least three days. That way you truly get your money’s worth and you can also spread everything out a little better. If you still prefer a 1 day pass then I advise you to buy it here. On this website you’ll pay the best price for this pass. What attractions and activities should I choose? The New York Pass gives you entrance to some of New York’s most iconic attractions. You can’t miss out on seeing the Empire State Building or Top of the Rock and the Statue of Liberty. The pass also has ‘Fast Track’ entry to some of these attractions, which saves valuable time. Do you love history? 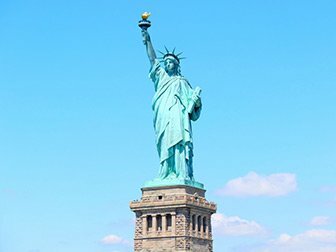 Then you can do a lot with the New York Pass: among others, you can visit the American Museum of Natural History, the Museum of Jewish Heritage and the 9/11 Museum. If you like being outside, visit the Brooklyn Botanic Garden, New York Botanical Garden, or the Cloisters Gardens. If you just want to go out and explore, I recommend making use of the Central Park bike rentals or tours and taking one of the many boat tours and cruises. And don’t forget to enjoy a great view of the city from the Top of the Rock or the Empire State Building! Art fanatics should definitely pay a visit to MoMA, the Metropolitan Museum of Art, the Whitney Museum of American Art and the Guggenheim. 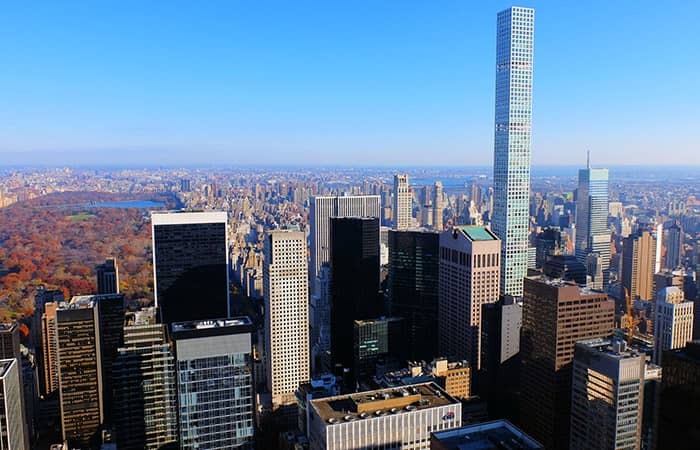 And if you want to explore more of the city’s cultural diversity then you can take a variety of tours such as the Bronx Tour or the SoHo-­Little Italy-­Chinatown Walking Tour.